« Where to Find Great Info on Eating Right! Nurturing Your Children’s Nature with Experiences in Nature! While I study psychology in my masters program, one thing really has become clear–the importance of early childhood experiences on our future mental health. I am not yet a graduate and am in no position to give psychological advice beyond my coaching credentials. 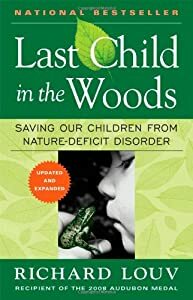 However, I have found a wealth of info about early childhood and the role of experiencing nature in development in the Earth Easy blog. If you have children, or even if you don’t but are interested in nature and psychology, click on any of the links tot he articles below and enjoy! The disengagement of children from nature has begun to alarm some of America’s more thoughtful naturalists, scientists, and environmentalists. For the full article, click here. Richard Louv is the author of several books about children and community, including, The Web of Life: Weaving the Values that Sustain Us (Conari Press), Fly-Fishing for Sharks: An American Journey (Simon & Schuster), and the national bestseller Last Child in the Woods. Can robotic replicas and digital imagery inspire children to a love of nature? For the full article, click here. Children are born with an innate curiosity about the natural world around them. How can we help them satisfy it? For the full article, click here. Children with attention deficit hyperactive disorder (ADHD) should spend some quality time outdoors when they are not in school, according to a nationwide study. … we must pass on to our children the joy and value of playing outside in nature. For the full article, click here. The despoliation of nature is tantamount to despoiling our mental habitat as well. To read the full article, click here. David Bollier is the editor of OntheCommons.org, an activist and writer about the commons, and author of Silent Theft, Brand Name Bullies and Viral Spiral.